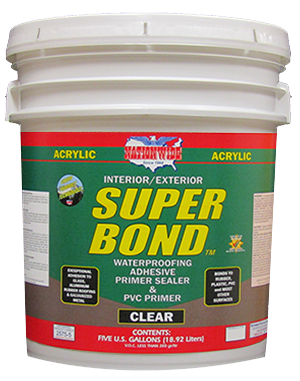 SUPER BOND™ is a fast drying clear acrylic bonding adhesive primer and surface conditioner with exceptional adhesion to most any surface. This high performace multi-use latex bonding primer dries to a hard finish and can be top coated with most any paint or coating. Weight per Gallon: 8.7 lbs. Zero V.O.C. 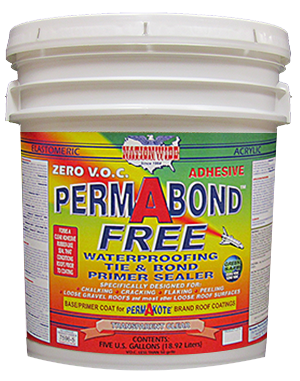 Clear Elastomeric Waterproofing Adhesive Bonding Primer Sealer. Forms a Tacky Finish to Provide a Tight Bond to Elastomeric Roof Coatings. 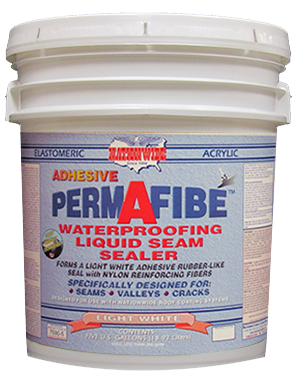 Elastomeric Adhesive Nylon Filled Waterproofing Quick Seam Sealer. Bond & Seal Roof Seams. 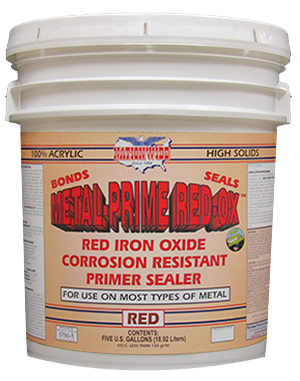 Great for Metal Roof Seams. 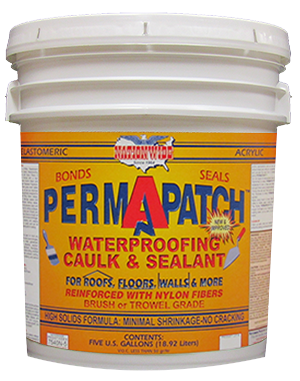 Elastomeric Waterproofing High Solids Nylon Reinforced Roof, Wall & Floor White Caulk & Sealant. Minimal Shrinkage.